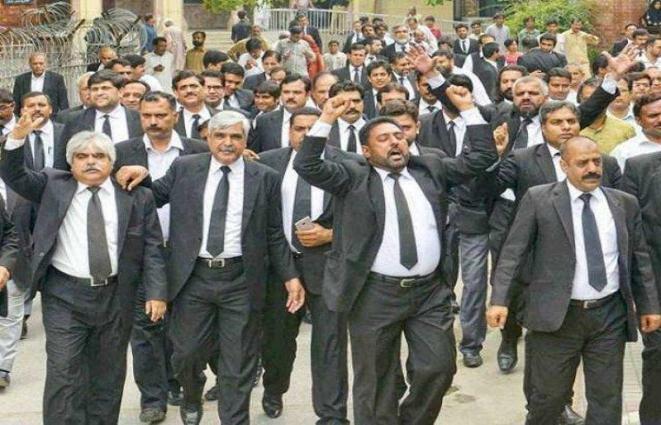 ISLAMABAD, (UrduPoint / Pakistan Point News - 17th Apr, 2019 ) :The lawyers throughout the country will observe a full day strike tomorrow to protest against the decision of National Judicial Policy Making Committee (NJPMC) in respect of Section 22a and 22b (CR.P.C) regarding the registration of FIRs. The decision was made as per the decided in all Pakistan lawyers representatives convention held on 26th March 2019, said press release issued here on Wednesday. The protesters would demand the restoration of the previous position in respect of s.22a and 22b CR.P.C and reversal of establishment of model courts as well.